Sitar - harmonium - Sitar training materials- exclusive concert Sitars and Tablas in stock or made to order for musicians who expect the very best! 25 years of experience with instruments used in Indian Classical and World music. Mohan Lal Sharma: 4 in stock from Rajesh Sharma, Mohan Lal's son. Some of the finest sounding sitars and surbahars in India. Unique quality instruments by Naeem from the oldest family of makers in Miraj, India. Many instruments in stock now! P & Brothers: Fine sitars and other instruments carefully made and unique dark and warm tone. Srishti Standard sitar: Our best selling and affordable model. Sets the standard for an acceptable instrument for beginners or experienced alike. Naskar & Co: Full decoration kharaj pancham sitar, their top of the line model! Hand carried from India with fiberglass cases included. SWARANJALI brand harmoniums along with occasional BINA and DMS Delhi made Harmoniums. Full hand tuning in A440 complimentary! HARMONIUM TUNING & REPAIR Full service/repair and hand tuning of most brands of harmonium. Hiren Roy Sitars I've discontinued importing new instruments but often have a number of pre-owned (before 2014) here. 2 in stock currently! Most repairs and servicing of Hindustani stringed instruments including Sitar jawari. Click here to see our many options for string sets and bulk wire used on Sitar and other Indian instruments. The finest European and North American wire available. There seems to be an increasing number of vintage or pre-owned instruments arriving weekly. Some are consignment, others I purchase if the structures are worth working on. At any rate take a look and find that instrument you've always wanted from makers mostly gone. All instruments re-fitted manically here before being available! PLEASE REFRESH YOUR BROWSER ON EACH PAGE OR UPDATES MAY NOT SHOW! PERFORMANCE SITAR SERIES: Professionally filmed and produced DVD's by Rain City Music! Learn sitar at your own pace with our unique and expanding library of sitar instruction videos. 17 titles now available, each with many lessons worth of material. 3 New titles just added 2018! More information can be found on our DVD page Read our DVD reviews! 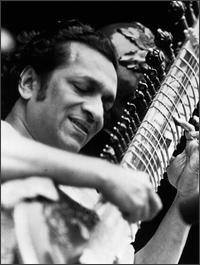 You get a free DVD of your choice with each sitar purchased. Sitar Basics ~ Now a beginners video with sitar lessons to help a complete beginner get started and a good foundation for the rest of our titles. Raga Rageshwari (Rageshree) ~ One of our recent releases of 2018, just in! Raga Bharavi ~ another of our recent releases of 2018, just in! SITAR RECORDINGS ~ we have a selection of CD's available featuring wonderful recordings of Indrajit Banerjee and Amit Roy, jugalbandis, etc. and just arrived is our first independent recording on the RAIN CITY label. SITAR ACCESSORIES : Everything you need for your sitar such as beads, tuning wrenches, parts & much more! Indian instrument accessories now up! As played by Barun Kumar Pal, Vishwa Mohan Bhatt and Debashish Bhattacharyya! How about a few CUSTOMER REVIEWS? SITAR LESSONS, Skype lessons available from beginner to advanced. Sitar lessons and instruction available year-round in the Seattle area. We cater to individual needs and supply lesson materials for print-outs along with excellent instruction! Please visit our Facebook page for current news or the update page. Everything you need to amplify from start to finish including Midi interfaces for sitar. We are grateful for his contribution to the world in bringing Indian classical music to the West, a musician of indescribable magnitude who will be fondly remembered and sorely missed.